Remember the times when the most exciting feature of your new _phone_ was the number of pre-installed ringtones? Or the times when we measured storage by the number of entries the phonebook would take? Or the times we judged display quality by the color of the backlight and the number of lines it had? Well, we do. And if you do too, you sure gonna enjoy the video showcase that we've come up with in order to celebrate the 15th birthday of GSMArena.com. It may sound strange to the younger ones among us, but there were times not so long ago when you could literally take the battery off one model and put it on another from the same manufacturer and it would be a perfect fit. 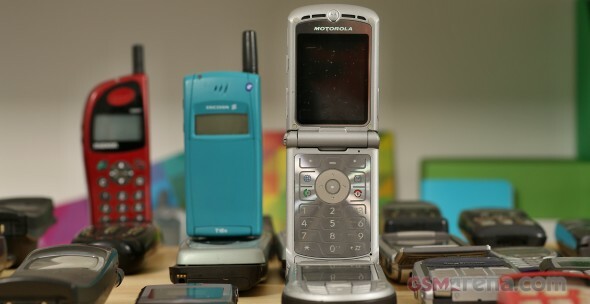 These were times when mobile accessories were extended batteries and snap-on external camera modules; times when we had to punch in manually notes just to get a new _phone_ ringtone. There were times when we only had a fixed number of games in our phones and these were not much prettier than the mixture of straight lines and rectangular shapes they were drawn by. It was in 1983 that Motorola came up with the first truly portable commercial mobile phone, the Motorola DynaTAC 8000X. It was a symbol of a new way of communicating and doing business and it was absurdly expensive. And thus it became a status symbol. The phones that came out in the following twenty or so years were no different, meaning we still regarded them as status symbols. With prices of mobile telephony and the corresponding terminals remaining high through most of the 90s, the mobile phones of these years were often objects of unfulfilled longing and had a soul-binding appeal that only elusive, out-of-reach objects of desire could have. Phones back served a limited set of purposes and yet we didnt approach them with the utilitarian mindset we have today. They werent just tools for us. Their distinct designs and the limited choice of models meant owning a phone created an emotional attachment - a bond, if you will - that you can hardly get with an everyday object today. It's this bond with our mobile phones that inspired the creating of GSMArena.com in the first place. Today we live in a disposable-everything culture and while the advancements in technology make it exciting times to live in, seeing the faces of these chaps - the Nokias, and Siemenses, Motorolas and the Ericssons of old - we will always going get that sweet-and-sour memory in the back of our heads. 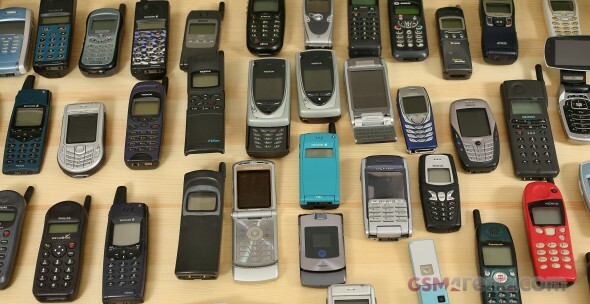 Indeed, most of them look like they've seen better times, but meticulously collecting all of these phones can be nothing but a labor of love. Well be more than happy if by showing you this collection we get you some of those sweet memories. Thanks to Momchil Nechev - Maxx for sharing his collection with us and our readers. Don't miss the great interview with have with him what it's like to collect old phones.